RG Herald: Commission Answers; Why So Many Planes Lately? Commission Answers; Why So Many Planes Lately? The United States Section of the International Boundary and Water Commission (USIBWC) will be performing aerial surveys along the Rio Grande through the month of March as part of a program to map and assess the agency’s Rio Grande flood control system. During the project, residents may see several small planes in a crop row pattern flying back and forth at an elevation of about 5,000 feet while ground crews set up ground targets in the form of a white X. The Commission is publicizing the activity to inform residents who might otherwise be concerned about the unusual flight pattern along the U.S.-Mexico border. The planes will be carrying a type of sensor known as a Light Detection and Ranging (LIDAR) system coupled with an onboard Global Positioning System (GPS) unit. 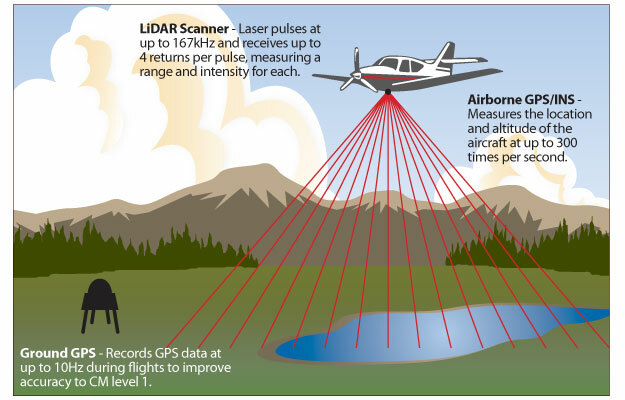 The laser-based LIDAR is non-penetrating and eye-safe at the altitudes being used for this survey. The data collected will be used to produce high-resolution digital aerial photographs used for USIBWC maps. The survey will also provide accurate elevation data of the river channel, floodplain, and levees that will be used to assess any recent changes, and for hydraulic modeling of the conveyance capacity of the river and flood control levees. Hundreds of miles of the Rio Grande between Amistad Dam at Del Rio, Texas-Ciudad Acuña, Coahuila and the Gulf of Mexico were affected by the 2010 flood that deposited silt in some areas. In parts of the Lower Rio Grande Valley, water surface elevations during the flood were higher than earlier models predicted. The LIDAR survey will provide data to accurately assess current conditions. Raw data from the survey will be provided to the USIBWC in October 2011 after which it will be incorporated into USIBWC models of the flood control system.